Chelsea striker Alvaro Morata will miss this weekend’s Premier League game against Everton due to suspension. The Spain international picked up his fifth booking of the season after scoring the injury-time winner in last night’s 2-1 Carabao Cup quarter-final win over Bournemouth. 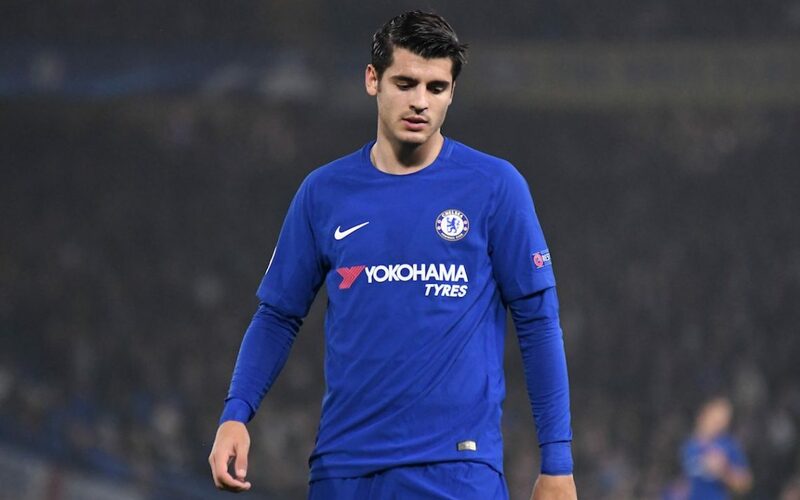 After finding the net to setup a semi-final clash with Arsenal, Morata tucked the ball under his shirt, put his thumb in his mouth and made an ‘A’ gesture with his other hand to celebrate the news that he and wife Alice Campello are expecting their first child. But referee Lee Mason was not in congratulatory mood and the former Real Madrid was shown a yellow card for the celebration. He must now serve an automatic one-match ban for his five bookings. Chelsea will travel to Goodison Park without their record signing to face Sam Allardyce’s Toffees at 12.30pm on Saturday, 23 December. Morata has scored nine goals in 16 Premier League appearances so far this season.